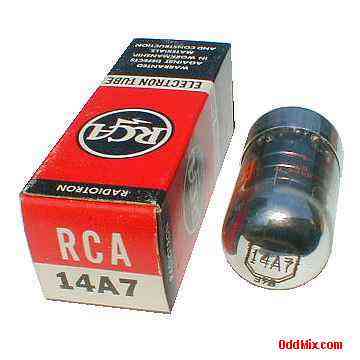 This is an original, vintage, no longer made, discontinued RCA Radiotron 14A7 Remote Cutoff Pentode electronic tube. These tubes are usable as output amplifier stage in many different radio and other equipments. Useful part for antique radio restoration. It is a NOS tube - New Old Stock, unused, boxed, excellent condition.